Bert Varell was born on 6.02.1935 as Walter Rauthmann in Hamburg. During his school days he learned to play trombone, violin and double bass. Later he played guitar in various dance bands and combos besides his work as an industrial clerk and sang together with Billy Mo and Knut Kiesewetter. In the mid 1950s Bert Varell attended acting school in Hamburg. The engagements in variétés and nightclubs, as well as engagements as a choir singer for various Hamburg studios increased. During this time he adopted the stage name Bert Varell. Together with Paul Giese and Hans-Joachim Kipka he appeared as "The Three Jerries". In 1959 he was offered his own record contract. The first singles "Blue Hawaii" and "Oh, Belinda" with the Serenaders followed with producer Heinz Woezel. With Ina Bellé he recorded the German version of the Italian San Remo hit "Una Marcia In Fa", with Ria Solar the title "Schön ist die Liebe". In addition to his own career, Bert Varell also worked as a lyricist, among others for Caterina Valente, for whose lyrics "Zwei Zigaretten Glüh'n" he was awarded the Critics' Prize for the best lyrics in 1961. In the 1960s he worked as a promoter and editor in the record industry and from the early 1970s successfully as an author and producer of children's radio play records. Bert Varell died on 27 June 2006. Bert Varell was born on 6.02.1935 as Walter Rauthmann in Hamburg. During his school days he learned to play trombone, violin and double bass. Later he played guitar in various dance bands and combos besides his work as an industrial clerk and sang together with Billy Mo and Knut Kiesewetter. In the mid 1950s Bert Varell attended acting school in Hamburg. The engagements in variétés and nightclubs, as well as engagements as a choir singer for various Hamburg studios increased. During this time he adopted the stage name Bert Varell. Together with Paul Giese and Hans-Joachim Kipka he appeared as "The Three Jerries". In 1959 he was offered his own record contract. 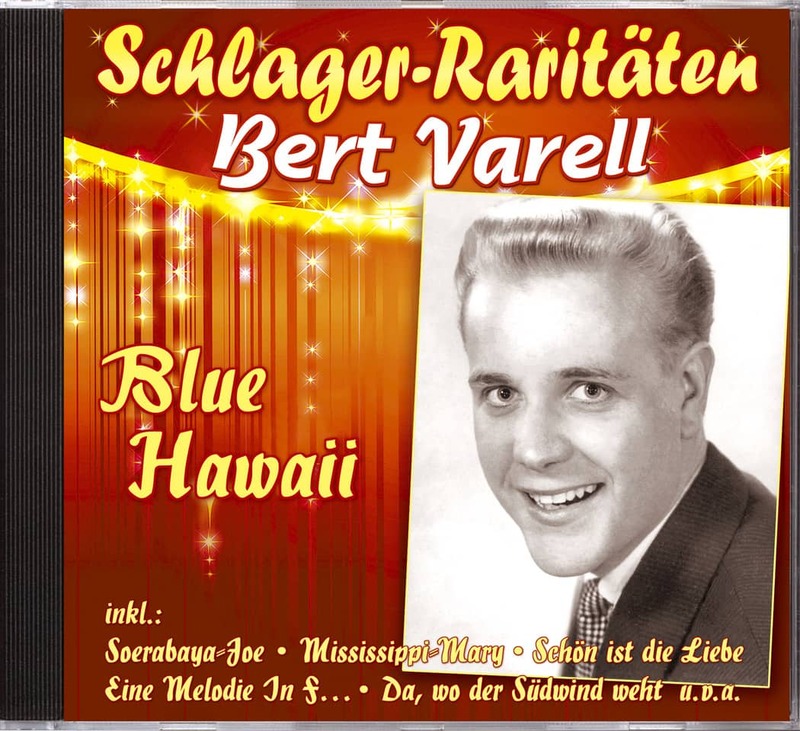 The first singles "Blue Hawaii" and "Oh, Belinda" with the Serenaders followed with producer Heinz Woezel. With Ina Bellé he recorded the German version of the Italian San Remo hit "Una Marcia In Fa", with Ria Solar the title "Schön ist die Liebe". 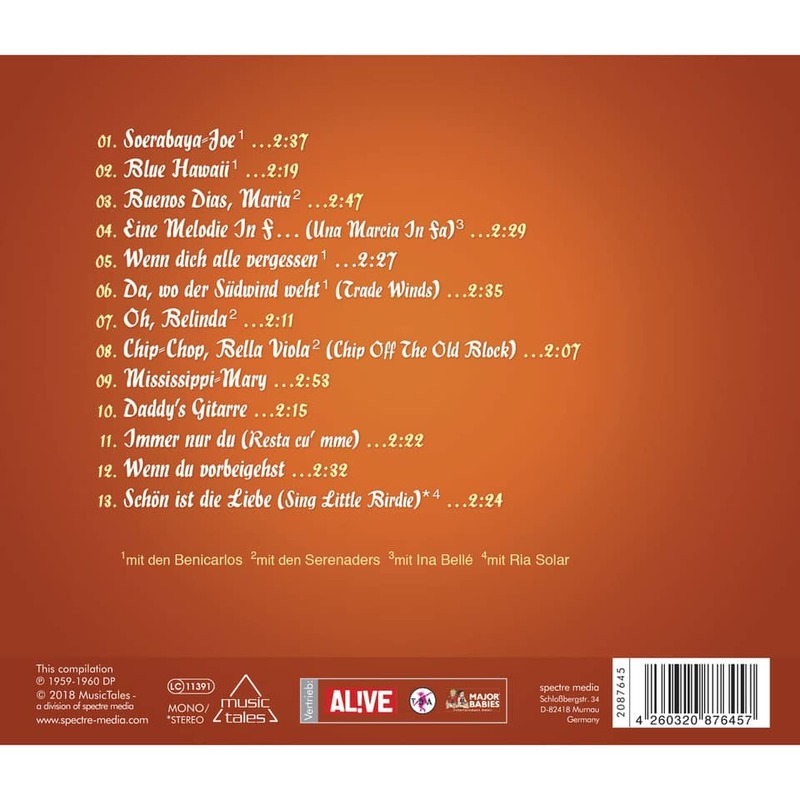 Customer evaluation for "Blue Hawaii (CD)"